Here comes Sandy. Woke up this morning at about 6 o'clock to the loud ringing of my wind chimes. I thought I had done everything I needed to but they were a noisy reminder that I had forgotten something. When it gets lighter I'll take a walk around outside and make sure I haven't forgotten anything else. There are reports of power outages already in sections of CT so here we go! Judging by recent reports and remarks made by various people, it's looking more like this race is boiling down to race. That's a very sad situation. We have a very, very long way to go in this country. Donald Trump is at it again. This time he's offered the president a $5 million donation of his choice if he would produce a variety of documents, i.e. passports, birth certificates, diplomas, etc. This time he's gone over the edge. He's nothing more than a racist gas bag who doesn't deserve one nano second of attention. The only reason I even know about this is because once you've turned on the morning news, you're bombarded by this sort of crap. Clearly, the lesson is to not watch morning news shows. I wouldn't want there to be a particular day where the weather never changes. I like the occasional surprises Mother Nature throws at us. Nevertheless, if I was forced to pick such a day, it would be today. Beautiful puffy clouds in otherwise sunny skies, warm temperatures, trees in full color...What's not to like? Sure beats sleet and ice. The political ads this year have been among the nastiest I've ever seen. I, and I'm sure everyone else, can't wait for this election to be over. What's so hard about being civil? I don't get it. 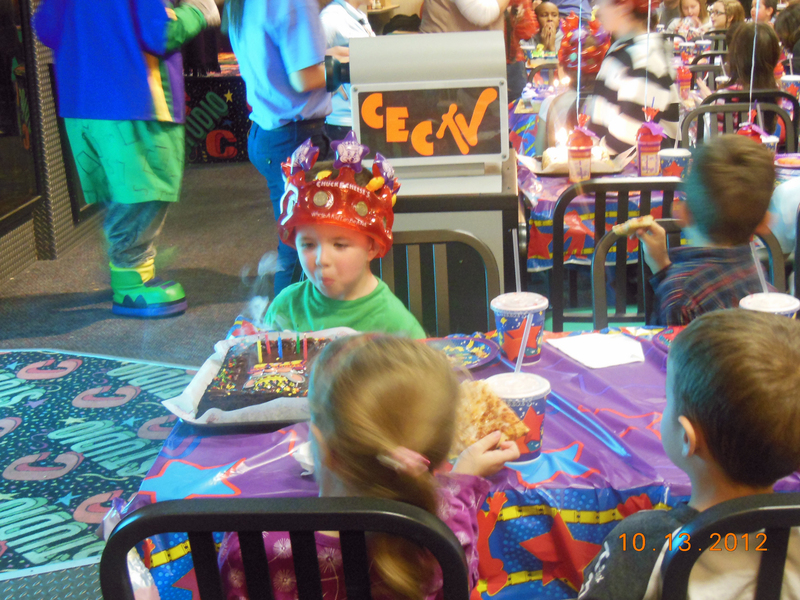 Cole celebrated his 5th birthday yesterday (10/13) at Chucky Cheese's in Danbury. The last time I was at a Chucky Cheese's was many years ago in Waterbury. The place was a dump. I'm happy to report Danbury's Chucky Cheese's is much nicer. Plus the food looked fairly edible although I didn't have any pizza or cake. It certainly would seem to be the place to be. Besides all the kids there for Cole there were a great many for other parties or just playing. In a word it was a zoo...but we all had a great time. 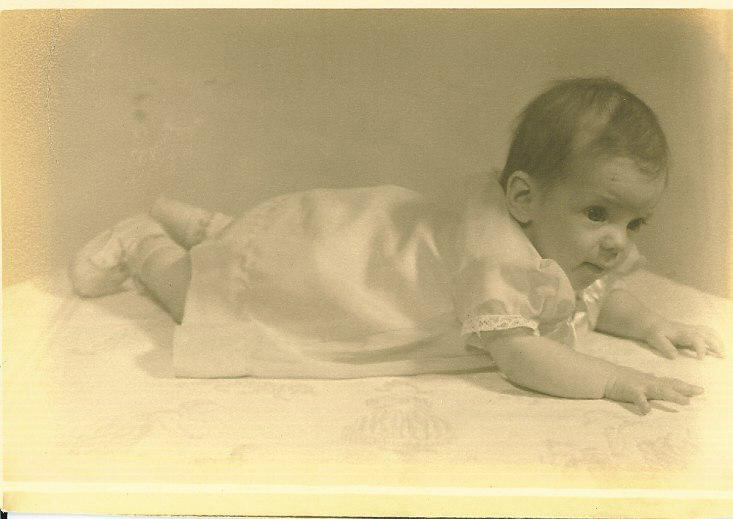 Yet more to like about grand parenting. Nice work, Joe. You made it crystal clear that Paul Ryan is a lying little weasel. Now your running mate has to step up. Give him a few lessons on how to develop a backbone. Sooooo...Mitt Romney vows not to raise taxes. Of course he's not going to raise taxes. He doesn't have to. He's already paying about half the tax rate as the rest of us. It's a win win for him...unless Obama wakes up and calls him on it. Come on, Mr. President. You can do better. Remember Frankie Valli and the Four Seasons? Probably not but it doesn't matter. Their music is just as good today as it was 40 years ago. We saw the play Jersey Boys yesterday at the Shubert Theater in New Haven. It was a great performance. If you happen to see that it's being performed in a theater around you, go see it. Happy birthday, Sandi, the year of which shall remain a secret except to say welcome to the world of Medicare and numerous discounts. Without question last night's debate was not Barack Obama's finest hour. He managed to let Mitt Romney slip away from so many lies he looked like Mercury. For the next debate Obama's got to get much tougher. He's got to call Romney on his elitist attitude toward all people and his right wing position on the issues. What people saw Wednesday night was a guy who did so many flip-flops that he made me dizzy. Obama needs to focus on that or Romney's going to be the next president--God help us all! Some of you might remember a time or two in high school when you thought you might get away with penning a note in your parents' name to either permit you to do something or excuse you for something you didn't do. 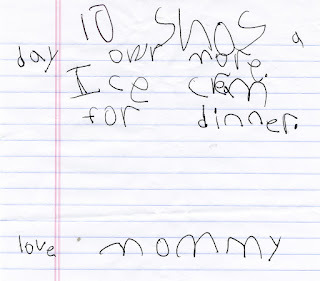 It seems the art of note writing is getting an early start these days as witnessed by 6-year-old Courtney's effort to convince me her mother has given me permission to allow Courtney and her sister to watch 10 TV shows and have ice cream for dinner. I of course fell for it completely! 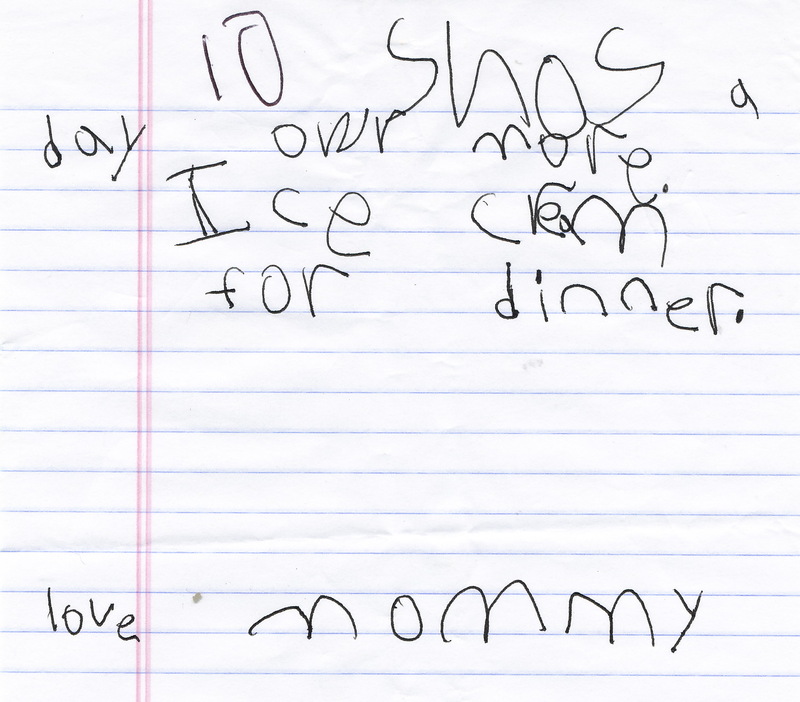 What's a reward to a 5-year-old? Nearly 5-year-old Cole: Grampy, how did you get that treadmill in the back of your truck? Me: I spent all Sunday morning taking it apart so I could load it little by little. Cole: Wow. That's great. Did grammie give you a big hug? ?